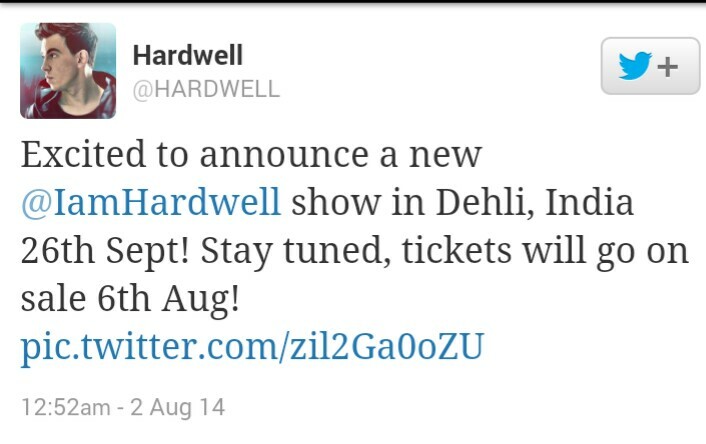 Hardwell is coming to Delhi with his I AM HARDWELL India Tour! After bringing some of the biggest names in the Electronic Dance Music Scene to India, Sunburn Arena is all set to host the Dutch progressive and electro-house DJ HARDWELL for the third time in Delhi-NCR on the 26th September,2014 in the Buddh International Circuit. It’s a time of happiness for all delhiites because for the past two years Hardwell has only been performing in Mumbai and Bangalore. It’s his first time in Delhi and Delhi, is all set to show him their love. This ‘Spaceman’ and ‘Never Say Goodbye’ artist will be spinning a special 3 hour set and will be joined by Kill the Buzz who is signed to Revealed Recordings. Revealed Recordings is Hardwell’s very own label and has been producing dance floor shaking numbers since 2012. Ranked #6 in DJ Mag’s Most Popular DJs In The World in 2012 and World #1 in 2013, Hardwell has more #1 hits than any other DJ in the world. The I AM HARDWELL tour is an ambitious world tour where the Dutch artist represents everything he stands for in his performances. Everything from Artwork to Visuals and Lighting in the show have been Hardwell’s own ideas and visions. In 2013, 26 year-old Robert Van De Corput or as we all prefer to call him- Hardwell played with his good friend and powerhouse performer in his own right, Dannic. True love for EDM was on full display as the night was soaked with heavy basslines, beautiful visuals, ceremonious jumping and a slight hit of rain as well. Throughout the night Hardwell dropped some of his classic hits and latest chart toppers. He flooded the night with his sneaky acapellas and mash ups. Armin Van Buuren feat. Trevor Guthrie’s “This is what it feels like“, Calvin Harris feat. Florence Welche’s “Sweet Nothing” and Bruno Mars’ “Locked Out Of Heaven” were some of the tracks he played. This year, Hardwell’s remix of Coldplays’ Sky Full Of Stars and Armin Van Buuren’s Ping Pong is eagerly anticipated. His latest songs, ‘Everybody is in place‘ and ‘Three Triangles‘ released in June has got everyone high on bass. 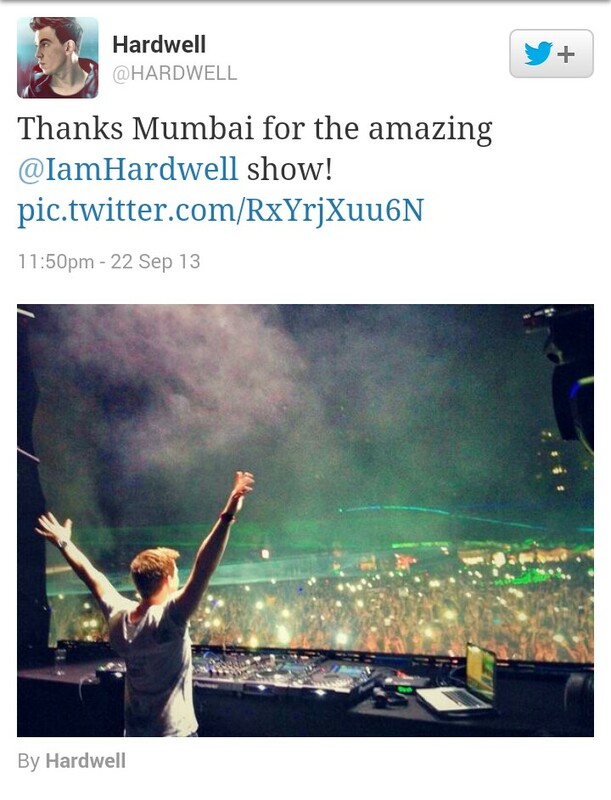 His Tomorrowland set, didn’t do much to decrease the excitement building up for Hardwell’s Delhi tour.